First Nokia's smartphones (Nokia 7650 and 3650) were released quite a while ago, and at the very beginning they were matchless, but now it's different. Unfortunately, Siemens hasn't yet finished developing its first smartphone SX1, but there's Sony Ericsson whose P800 was much spoken about and which will be soon replaced with P900. Another class of devices coming to the market is Microsoft based solutions like i-Mate SmartPhone. The company felt that the sector of smartphones is getting tighter and decided to update its line. 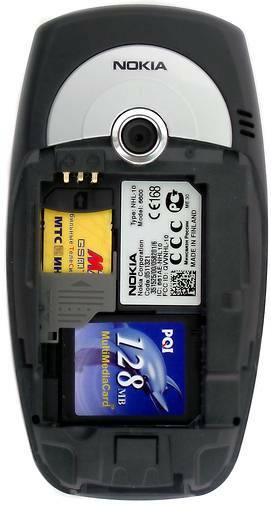 The Nokia 6600 is a follower of the Nokia 7650, and it has taken its best features to a new level. The color display supporting 65,000 colors, GSM 900/1800/1900, the VGA camera with a digital zoom and video recording features makes the Nokia 6600 the best choice of business people and advanced youth. Nokia's third smartphone is smaller and more functional compared to the previous two models. It measures 109x58x24 mm and weighs 122 g, which makes it very compact. In spite of its paunchy design it has no unfolding parts, and the successful color combination smoothes over this impression. Nokia considers it a classical model and relates it to the 6000 series. 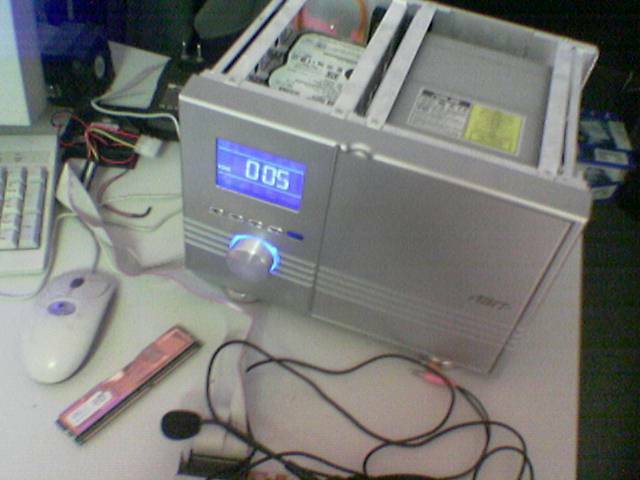 That is why the Nokia 6600 uses a lot of traditional solutions. The keypad has a customary look and is much more convenient than the roundish version in the 3650. The good key ergonomics, pleasant sense of touch and the nice-looking blue backlight make typing very handy. The navigation joystick doesn't leave the same impression. The material it's made of is slippery, and you'd better watch what happens when you operate it. The call and cancel keys are moved closer to the edges, which is convenient but unusual. The display is very good. It's not bigger (35x41 mm) but its quality is improved. I can't say that the previous displays supporting 4,096 colors looked bad, but it's the first time Nokia uses such a high-quality solution. This is a high-contrast TFT matrix that delivers the resolution of 176x208 pixels. The display houses up to 8 text lines and is legible even in the sun. Such a high-quality display has a good effect on the shots taken with the built-in camera. The maximum resolution is traditional: 640x480 pixels. The functionality is extended, there's a self-timer, a night-shooting mode and a 2x digital zoom. 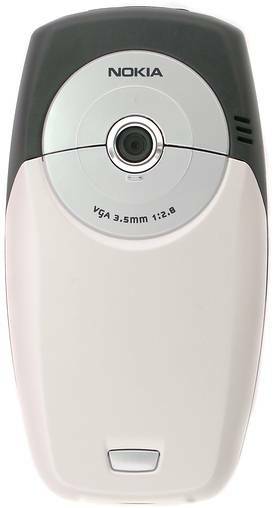 The camera can also record video at the maximum resolution of 176 x 144 pixels. The software needed is supplied with the phone. The RealOne Player which can play stream video in Real Video and 3GPP formats (via GPRS and HCSD). You can also use the Nokia MultiMedia Player to encode video into 3GPP. For example, a cartoon film which lasts about 18 minutes takes 9.2 MB in the 3GPP format (at 176x144). 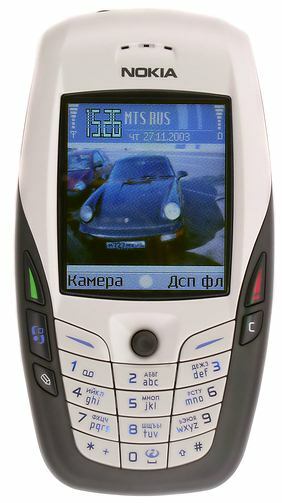 The Nokia 6600 is based on the second edition of the Nokia Series 60 platform (the first edition is used in the 7650 and 3650). The Java MIDP 2.0 is undoubtedly supported. There are some minor changes in the graphics interface - it's become even more friendly and intuitive. At least, it doesn't look inferior to the interface used in the Microsoft or PalmSourse based phones. The organizer is strong as always considering the number of applications and their functions. You can create up to 8 fields, assign a ring tone and an image for every entry in the PhoneBook. Subscribers can be combined into groups the number of which is unlimited. The same subscriber can be associated simultaneously with several groups, though it's not of much use. The PhoneBook is limited only by the memory size. The lists of incoming, outgoing and unanswered calls and messages is also limited by the memory, though you can set a time period during which they are to be stored. The Calendar can be viewed on the monthly, weekly, and yearly base, and you can assign three types of events. There are also a to-do list and a typical list of applications like time&date, a calculator, a currency converter, a self-timer and a stop-watch (which stores up to 20 intermediate results). It's Nokia's first phone that supports user profiles (themes). This feature invented by SonyEricsson allows you to change quickly the whole look of the display (interface appearance, ring tones, screensaver etc.). The voice dialing functions are extended as well. You can assign voice marks to the PhoneBook entries (up to 20) and switch profiles and applications using voice commands. The main menu got a new folder named Try'n'Buy which contains demo versions of some programs. Some of them are well known to owners of Nokia 7650/3650. They are Photographer, QuickWord, SlovoEd and ZipMan. Unfortunately, they can be run only three time free of charge. One of the applications is a full version of the Opera web-browser. It opens not only optimized pages but even the main page of iXBT.com with flash banners! The 6600 is not efficient enough to play animation flawlessly, but it's easy to guess what is advertized. Communication is a strong point of the Nokia 6600. There is no Pop-Port, but there are all other communication types - GPRS (3+1), Bluetooth and IR. HSCSD is supported too. The communication software includes three integrated clients (e-mail, VPN & XHTML) and SSL encryption. Also, you can find the Nokia Wallet used for mobile transactions; this program stores your personal data in the protected format. The Nokia 6600 supports SMS and MMS messages, long messages, T9 text input, and offers 10 preinstalled message templates which can be replaced with your own ones. 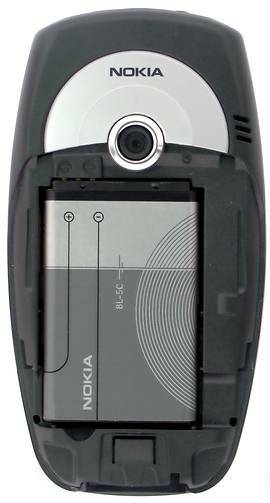 The audio quality of the Nokia 6600 is very high: the sound has pleasant timbre both in the usual mode and in the speakerphone one. There's also a standard 2.5mm jack for a headset. Unfortunately, only mono is supported. A Bluetooth headset comes in very handy, but you should select it very carefully because of possible compatibility problems. The built-in recorder can record what you and your interlocutor say. All ring tones are polyphonic. By the way, the Nokia 6600 supports the True Tones technology that can convert any MP3 file into a ring tone. However, the results are not that smooth, especially for classical compositions - they hardly resemble the originals (rhythmical or dance compositions look better). It proves that ring tones professionally adapted for polyphonic rings sound much better. But you can also use notes to create your own tone. A vibracall is supported. The Nokia 6600 has 6MB memory. It's not much but it's 1.5 more compared to the previous models. The memory is distributed dynamically, that is why it's better to think beforehand what is more important for you: photos and video clips, addresses and contacts, or ring tones and Java applications. The phone also has a MMC memory card slot (a 32 MB card is bundled with the phone). You'd better use it as a constant extension of the internal memory. The slot is located under the battery and one has to turn off the phone to take out the card. Also remember, that the slot doesn't support cards over 128 MB. The Li-Ion battery, 850 mAh, runs 4 hours in the talk mode and up to 240 hrs in the standby mode (two days, 10-15 minutes talking daily). By the way, the Nokia 3650 uses the same battery but its standby time is shorter. The Nokia 6600 is a decent extension of the smartphone line. The phone has such advantages as the excellent keypad and display, long rundown time and a good software suite. Among its weak points is the MMC slot location and a bit vague design. In short, the Nokia 6600 is an evolution but not a revolution.